Controversial midfielder Joey Barton reckons he had a verbal agreement to sign for Liverpool back in 2004, but that a deal was cancelled when Gerard Houllier was fired and replaced by Rafa Benitez. Remarkably, he claims that Steven Gerrard had personally requested us to purchase him, and that if he had made the switch, a Gerrard-Barton midfield pairing for England would’ve been a formality. Writing in his book No Nonsense, which is released this week and serialised in the Daily Star, Barton said: “Had things panned out differently, I could have made the obsessive debate about the mutual suitability of the Gerrard-Lampard axis redundant. “I met with Gerard Houllier at Melwood, and agreed everything verbally. 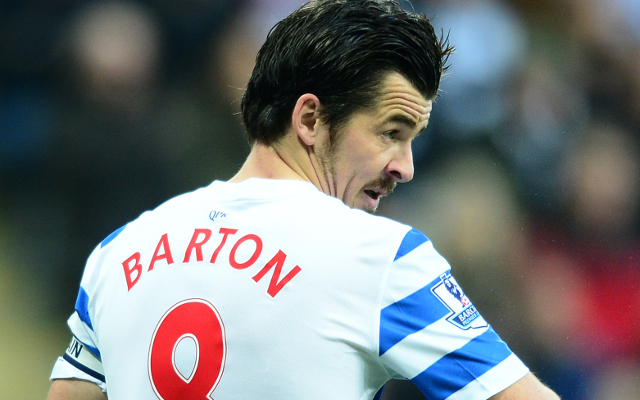 Barton clearly has illusions of his own grandeur. This is a player with one England cap who consistently failed to perform at big clubs due to his disciplinary problems. He’s been a walking problem throughout his career, and we’re delighted we secured Xabi Alonso, one of this century’s greatest midfielders, instead. In terms of England, it wasn’t either Gerrard or Lampard’s fault – it was the fact they were always deployed in 4-4-2. If a manager had woken up to the influx of three-man midfields around Europe, England could’ve deployed an anchoring midfielder which would have allowed BOTH of them licence to bomb forward. It was the manner in which Gerrard was often held back, chained, centrally – that meant he wasn’t as barbarically effectively for country during his peak as he was for club. Again, that’s the fault of Eriksen, McClaren, Capello and the rest.